What is the difference between structural observations and special inspections? At times engineers use these terms interchangeably, but there are specific instances where structural observations are appropriate, or more detailed special inspections may need to be specified. 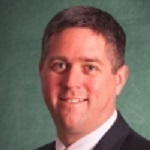 In July 2018 SE University session, Dave K. Adams, SE, from BWE, presented Project Quality and Inspection Requirements. Dave reviewed the building department’s role in project quality standards, identified specifications for durable materials, and covered the requirements for structural observations and special inspections. He specifically addressed the difference between the two terms in a follow up question at the end of the session. Watch this short video to hear Dave’s explanation. Structural observations and special inspections are required by the code and can be found in IBC 2015 Sections 1704.6 and 1704.2, respectively, and depend on the building’s design category, the risk category and design wind speed. Observations or inspections should be delineated clearly before construction to include the requirements, responsible parties, and frequency to ensure the building is code compliant. The average office worker has just 11 minutes to work on a task before being interrupted, and it can take over 20 minutes to get back on task once an interruption occurs. Does this describe your typical day at work? With the endless text messages, emails, app notifications, noisy coworkers, and various unannounced meetings that tend to pop up through the day, it can seem as if completing your daily agenda is an impossible task. Though some distractions at work may be unavoidable, there are several strategies to help eliminate unnecessary interruptions and get back on track. One great trick to avoid unnecessary social calls from coworkers or eliminate noisy distractions is to wear headphones. Headphones can signal to others that you are concentrating on your task, and can help eliminate feeling the need to acknowledge everyone who passes by your desk. This can be a great tool for offices with cubicle, since these workers tend to be interrupted even more than workers with an office door. Since our cell phones tend to be one of the greatest distractions throughout the day, another strategy to avoid interruption is to set your apps and other notifications to Do Not Disturb during the work day. Hearing your phone ping every other minute does nothing to help productivity. Although most of us need to be accessible by phone throughout the day, it may still be necessary to screen phone calls in order to get important tasks done on schedule. Set aside a time in your day to return phone calls, but focus on one task at time. Another way to increase productivity throughout your office is not to interrupt others. Send an email to coworkers when you have something to discuss so a convenient time can be arranged. Setting a good example may demonstrate to others your preference to set meetings ahead of time rather than just stopping by your desk unannounced. Some distractions are unavoidable, and some distractions we create ourselves, but small changes in our habits can make big impacts on our overall productivity. Using these tips may help eliminate the frustration of constant interruptions and make your day feel more accomplished! 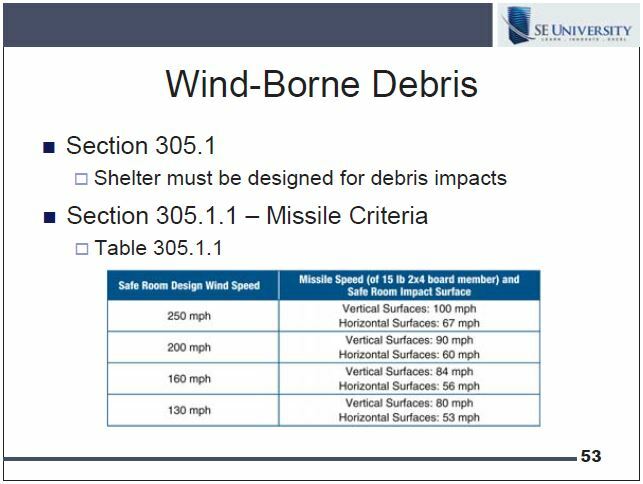 Wind-borne debris is without a doubt a very serious design consideration when approaching a storm shelter or safe room design. In every tornado or serious wind event, there are devastating images of the effects from upturned trees, 2x4s, cars, and even large fuel tanks. Designing for such impacts can be daunting, and present day engineering theory may not be sufficient to effectively codify such impact forces. So what is a structural engineer to do when faced with protecting the public from these life-threatening debris impacts? In December 2017, Jason Pirtle, PE from Jason Pirtle Structural Engineers, Inc., gave a presentation on Tornado Shelter Design. Jason reviewed the requirements laid out in the 2015 IBC, discussing which occupancies are required to have storm shelters designed in accordance with ICC 500. Jason covered the various structural design considerations which need to be considered including the effect of wind-borne debris. Storm shelters are required to be designed to withstand wind-borne debris due to the abundant missile supply available during a storm event. 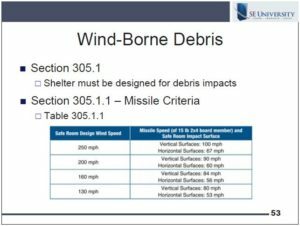 Jason referenced Table 305.1.1 in ICC 500, as shown in the slide below, which designates the missile speed of a 15 lb 2×4 board for various design wind speeds that shelters need to accommodate. The Code designates required missile impact testing for assemblies to be used in storm shelters as laid out in Sections 305, 306, and 804 of ICC 2015. These testing requirements all but eliminate design calculations for debris impact, however close inspection during construction should be followed to ensure the as-built shelters is in accordance with the specified tested assembly. 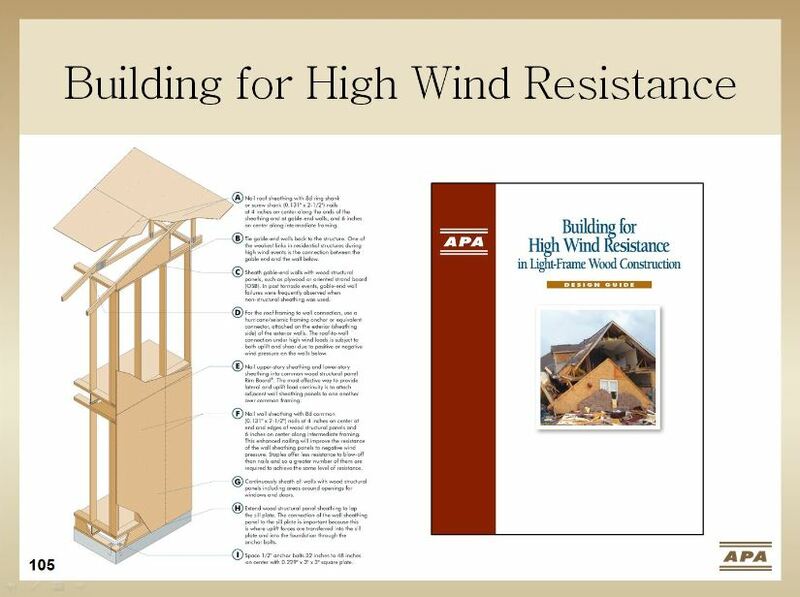 Since the Code requires that constructed materials be tested before use, Jason suggested both the National Wind Institute at Texas Tech University as well as FEMA P361 as good resources for finding tested wall and roof assemblies. The National Wind Institute offers this valuable listing of tested assemblies that have a ‘PASS’ rating for the requirements of ICC 500 for various wind speeds and missiles. Additional information about missile testing can be found at the Debris Impact Facility at Texas Tech University. Jason also mentioned checking with window and door manufacturers to verify tested building components’ compliance. Additionally, Jason reviewed how site specific debris hazard must also be considered in any shelter or safe room. It is important to note that these site specific hazards may require additional testing beyond the code required minimum tests for your project. However, the resources included here offer a good starting point for specifying appropriately tested materials for use in your next storm shelter project, and remember, the entire shelter, including openings, must be constructed with tested components capable of resisting the missile impact! SE Solutions was excited to assist AISC organize the Student Event (SCIS) at the Steel Conference for the 8th year in a row. (see www.aisc.org/scis for further details) This year’s conference was in Baltimore, Maryland and 200 students attended the event. SCIS aims to give students the opportunity to hear career insights from distinguished design professionals, connect and interact with leading industry experts, and mingle with other like-minded students. This year’s event included presentations by Jim Malley from Degenkolb Engineers and Kim Olson from FORSE Consulting. Jim and Kim were able to provide insight to new engineers on the best strategies to be successful in their new careers, how to learn quickly on-the-job, and different aspects of the business side of structural engineering. In the afternoon, students were able to attend “Direct Connect” which allows students to interact with industry experts from design and construction companies in a relaxed setting, while making personal contacts within major firms throughout North America. This networking event was a great opportunity to meet with up to 50 firms, all under one roof, and gain further advice and strategies from other successful structural engineers. If your company would be interested in participating in Direct Connect in the future, please e-mail Brian Quinn at Brian.Quinn@FindYourEngineer.com. (There is no cost for companies to participate) Next year’s conference will be in St. Louis. AISC puts on this event to help students gain a wide variety of knowledge that will help them as they embark on their careers in structural engineering. In addition, AISC now offers an opportunity for member companies to post internships for students at no cost on a dedicated webpage . Click here to visit AISC’s internship webpage to view available openings or post your company’s internships. Membership in a professional organization is a common way to stay engaged in your profession, and structural engineering groups offer many benefits to membership. However, it can also be worth your time to invest in organizations that may not be solely focused on your particular discipline. Unless you have been personally invited by a colleague or friend, you might not even be aware of the local groups that meet in your area. There are so many organizations, both national and local, that can offer new experiences for you and even make a difference in the lives of others. Click on the links below to explore a few possible organizations that may have chapters near you. Toastmasters is another great national organization that aims to provide a supportive environment to learn better public speaking skills and improve leadership qualities. These groups meet at various business offices throughout the country, and they encourage participants to grow at their own pace to meet their specific goals by providing helpful feedback and a specially designed program to enhance their skills. Rotary International exists to bring neighbors, friends, leaders, and problem-solvers together to take action to create lasting change – across the globe, in our communities, and in ourselves. The extensive work of Rotarians around the globe is too vast to even cover sufficiently, but ranges from providing clean water and solar lights, to improving literacy, to providing seminars for tomorrow’s leaders. Being an active member of Rotary International may can make a huge impact in your life and the world around us. Habitat for Humanity is a great national organization that is a natural fit for many structural engineers. Aside from the typical construction help, Habitat also recruits volunteers to assist in many of their offices and thrift stores, and help organize special events and fundraising efforts. Bringing affordable housing to your locale is a fantastic way to improve your community and meet new people along the way. The options are endless, but it just takes a little time to inquire and find the right fit for your season in life. Joining a new organization, whether it be professional, charitable, or political in nature, can be a first step to finding where you can contribute and grow personally. Challenge yourself to try something new, and you never know where this opportunity could lead! In April 2018, SE University welcomed back Matthew Rechtien, PE, Esq., Senior Assistant City Attorney with the City of Ann Arbor, to present Engineering Law and Ethics Case Studies. In 2017, he designated the David and Maxine Fowler Endowed Excellence Fund at the University of Texas at Austin(http://endowments.giving.utexas.edu/page/fowler-david-maxine-exc-fnd-caee/4886/) for the SEU Speaker Inspires donation of the month, and he has chosen to do the same in 2018.